Represented by the Dean of Sciences, Dr. Joumana Younis, Jinan University joined the Developpement Etudiant Entrepreneur au Liban project which is held by AUF. This project aims to establish a new status of entrepreneurship among students at the national level. In order to encourage entrepreneurship, AUF organized a competition in which 14 teams will compete representing 14 different universities from all over the Lebanese regions, then 6 te ams will be elected for a chance to travel to an incubator in France. 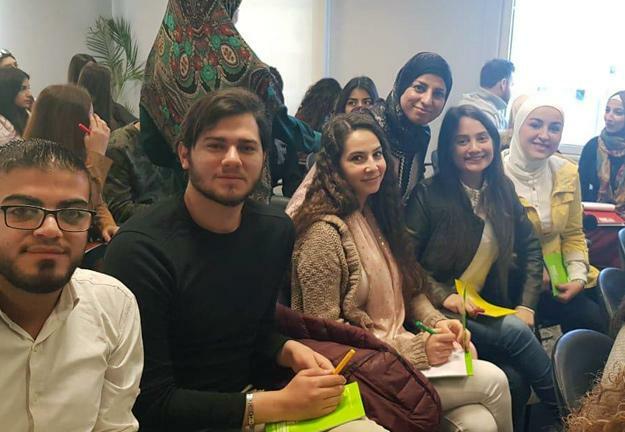 Students from Jinan University attended a training course at Berytech in Beirut where they were trained on how to create and implement new ideas.